As we brought you news last week on the new Hench release by Pete Fowler x Superplastic (read HERE), today we can bring you the full reveal of the Hench character. This hipster yeti, known for his ability for lifting heavy objects, throwing rocks, programming drum machines, and reading people’s minds. Hench sounds a lot like a certain Mr Gee…. perhaps this is where Fowler gets his inspiration. Hench is now available for all to purchase. 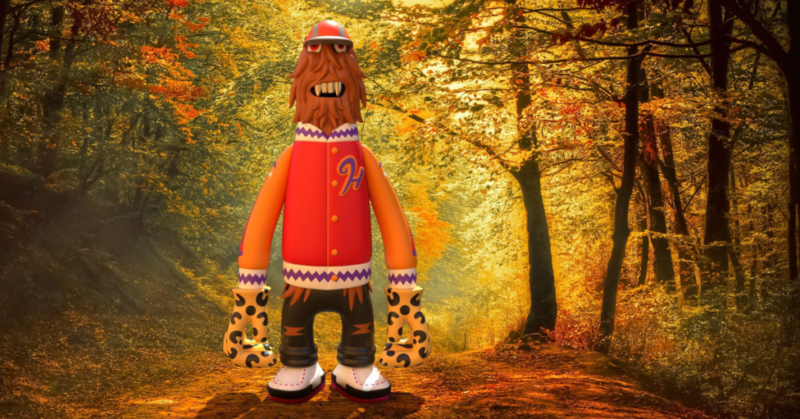 Limited to 555 pieces and standing at 9inches tall, Hench is priced at $90 (£69). The special “It Me!” edition features an interstellar varsity jacket, Wallabees, silver grill, and leopard skin gloves. Hench can be purchased HERE. Hench is the second figure in the new series by acclaimed artist Pete Fowler. Pete has definitely found his range with Superplastic, firing absolute bullets of heat with the releases so far, and we feel like there is no stopping him with the backing of Superplastic! Expect Hench to ship in early 2019.